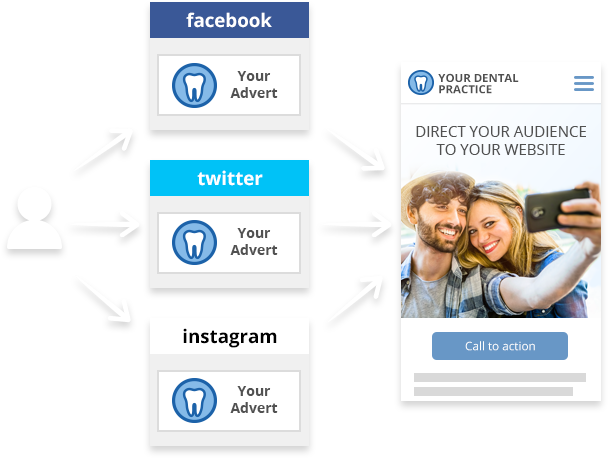 When used correctly, social media can be a great tool for promoting your dental practice. 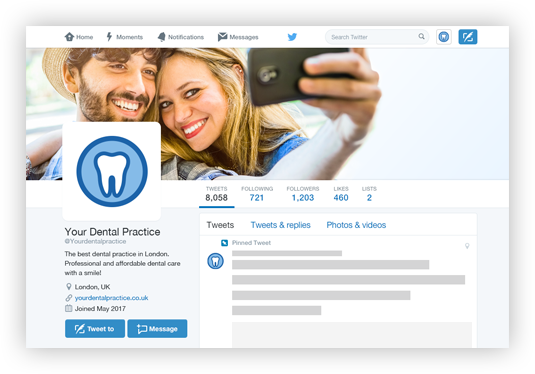 Just like during a free consultation for cosmetic treatment, social media provides a platform for you to engage with new or existing patients, helping you to build long term relationships. You can trust our social media guru’s to set up your Facebook, Twitter, LinkedIn, Pinterest, Instagram, YouTube, Google+ accounts for you. How many times a year do you see a patient on average? Maybe once or twice? 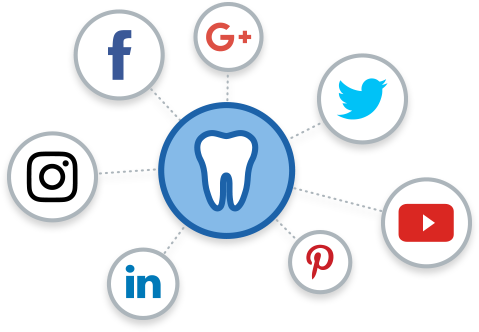 We create and post interesting content on social media, so that it can help keep you in your patients lives in between visits. Social Media sites like Facebook, LinkedIn, Twitter, Pinterest and Youtube offer advertising that could potentially help boost your content as well as traffic to your website. Facebook is one of the biggest social media sites with over 1.35 billion active users (and growing). 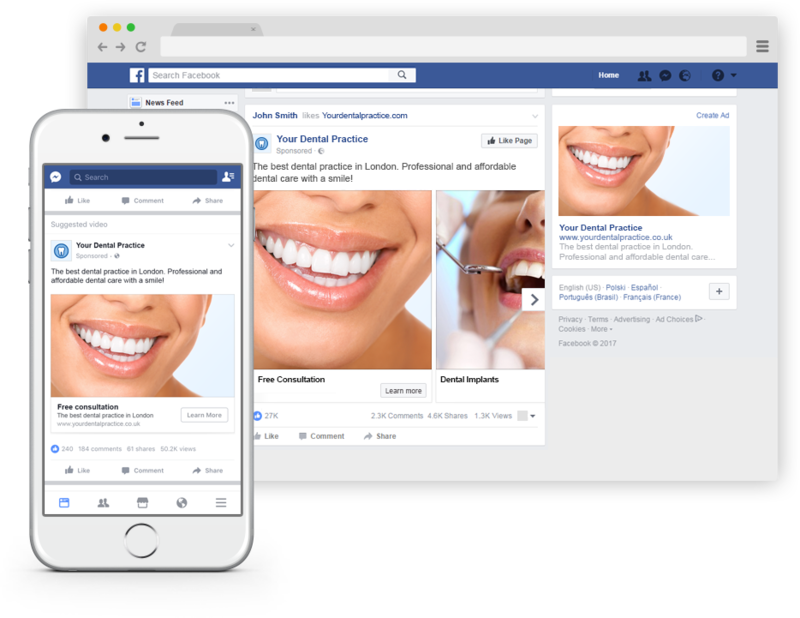 Users typically spend an average of 30 minutes per day on Facebook, therefore it can be one of the best places to advertise your dental practice. Paid for sponsored ads are an effective and more direct way of targeting a specific audience and creating brand awareness. It can help to drive them to your website in order to increase traffic which can lead to conversions. By ensuring your adverts are seen only by the people you would want to see them, we are able to guarantee a much larger return on investment and significantly reduce your overall advertising spend. We can help with social media sponsored advertising by creating engaging adverts for lead generation, video marketing and re-marketing campaigns.